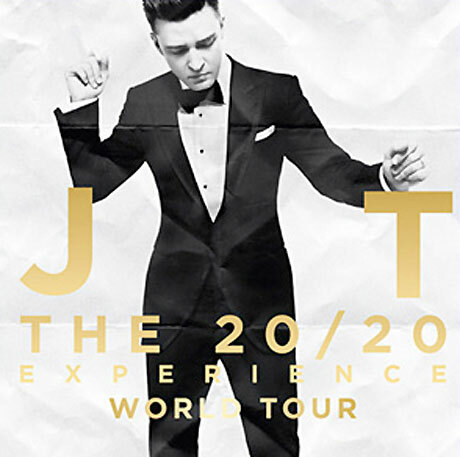 Justin Timberlake confirmed over the weekend that the sequel to his new album, The 20/20 Experience, will arrive on September 30, and now he's announced a heap of new North American tour dates in support of his two new discs. Timberlake had already confirmed some upcoming dates with Jay-Z for their "Legends of the Summer" tour, but JT will then headline his own trek, simply called "The 20/20 Experience World Tour." After his outing with Jay-Z wraps up in August, the pop singer will hit the road again in earnest in the fall and will continue to tour until February. In addition to previously announced dates with Jay-Z in Toronto and Vancouver, JT's schedule now includes Canadian stops in Montreal and Edmonton. See the itinerary below and get pre-sale information over at Timberlake's website.